Our host was amazing, will put up pictures of some parts of his house – too cool. We met pretty interesting people, Mrs. Placide and Mr. Beef, who made us laugh so hard. It was fun going to the Bayworld Aquarium, where we watched a seal and penguins show. The snake park there has nothing on our snake park…. But their snakes are kept in good displays that don’t look flimsy…. 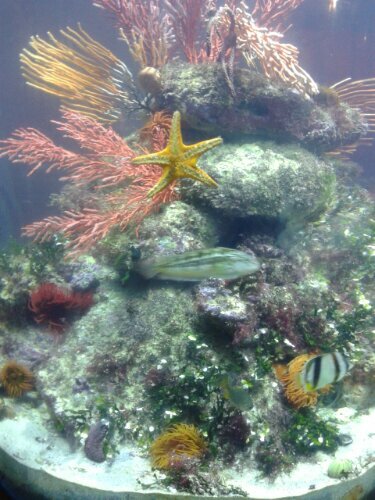 A picture of one of the smaller aquariums at Bayworld.